"I have received emails and met people coming and going from the prayer room since Sunday. All without exception have been moved beyond their expectation and have signed up for another hour. Even our middle of the nights are full! Several have shared that they felt the lure of the room as they hit the last step going downstairs, before they even reached the room. One woman said she is drawn to this place every day. Business men, moms, kids - everyone is coming. One of our John Knox seniors wants to have a devotional group meet there. Before we launched last week, one couple asked for pastoral counseling in the room with our Senior Pastor. The husband came to me on Sunday, and thanked me for the room with tears in his eyes. His wife was ready to reconcile. "I just reviewed the number of folks that have been in our 24/7 prayer room over the last six weeks, and it comes to about 100 individuals! We have just sensed that the focus is expanding a bit from one in which people personally, intimately, and deeply experienced Father, to include that of city reaching, evangelism, and other kingdom expanding intercessory spiritual warfare. We have two ministries that we have launched five years ago which have been affected significantly by the 24/7 prayer room. The first is a house church planting movement (Rock International) which especially targets youth, poor, and unreached people groups. The second is a "city-wide" church (Rock of Kansas City) made up of many house churches around the Kansas City area with a central meeting place and worship. Both purposes are based in the inner city of Kansas City where we can, as a part of the body of Christ, express His love, wisdom, and power to those who live in the worst part of town. Next to planting house churches, launching and sustaining a 24/7 prayer room in one of our inner city church properties has probably been the most important thing we have done to date. From inner city youth to suburban "boomers", each person has profoundly experienced the manifest presence and love of God in their selected hour of prayer in our holy space. Some of our members have actually encountered the Holy Spirit in the parking lot or even on their way to the prayer room. Needless to say, this has resulted in a wonderful spiritual renewal in our midst. Eternity and the "heavenly realm" are no longer concepts but reality. The love of the Father is not just a doctrine but a tangible and substantial experience. The joy and peace of Christ are securing and stabilizing hearts. We are enjoying a spiritual renewal and awakening in a very oppressed part of our city. There is no doubt in our hearts that the level of passion for Jesus that is mounting as a result of the 24/7 prayer rooms will grow into a full blown city-wide revival. The most amazing part of this story is how children, youth, and young adults are being transformed by just coming into a holy space that is especially tailored for them. Our 24/7 prayer room is actually about 1,500 square feet which includes four smaller rooms and one large open space. The smaller rooms encourage special forms of interactive prayer. For example, one of the smaller rooms we call the "war room". It has a professional kick boxing bag, treadmill, weights, and camouflage material with Ephesians 6:10-12 written in bold ink. Another space is the art room, designed for personal expression through painting and drawing. It also has a television with a DVD player so people can watch the "Passion of the Christ" if they wish. We have the city, state, national, and international space which utilizes pictures and displays to encourage intercession for the lost and poor in our community and around the world. We have a space called "the mystic room" which looks like the catacombs used by the early church for prayer and secret meetings. A cross stands at the end of the largest open room and to its side is a paper shredder which we call "the sin shredder". Large amounts of wall space are devoted to graffiti, written prayers, and personal expressions of love for Christ. A sound system with a diverse selection of Christian Cd's is available for the intercessor to choose exactly the kind music which will most enhance their time of prayer. Youth are finding that being with God through prayer can be the most pleasurable and exhilarating experience in life. Just imagine, inner city youth are discovering that being with Jesus and experiencing His affection, is more attractive and desirable than anything the world has to offer! 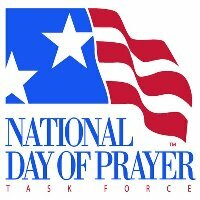 We feel that we are just beginning our journey into 24/7 prayer. We cannot imagine life without this amazing place and spiritual discipline. "One of the 14 year old boys in our church signed-up for an hour in our prayer room on Good Friday. Shawn is very much respected by his peers, but he's never been very vocal about his relationship with Christ. And he says he'd never prayed for more than 10 minutes at a time before he went into the prayer room that day. When he came out after an hour, he told his mom, "that wasn't enough time at all! I didn't even get to shred my sins in the sin-shredder!" He was so hungry for alone-time with God; he immediately signed up for two more one-hour slots. Now he's got his classmates wondering what this is all about!" 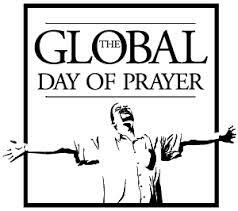 "All across the greater Kansas City area, God is calling individual Christians to pray in day and night prayer rooms. This is so incredibility important as these wonderful people are rediscovering the power of a sacred place to pray. Lives are truly being transformed" Steve Weber - Prayer Coordinator - College Church of the Nazarene.